Experts in police procedures say missing-child cases are among the most difficult to investigate, in part because family members must be viewed as both victims and potential suspects. Six days into the search for 20-month-old Ayla Reynolds, investigators strung bright-yellow crime-scene ribbon around the perimeter of the little gray house in Waterville where she was last seen tucked in her bed in mid-December. The man then in charge of the investigation, Waterville Police Chief Joseph Massey, downplayed the action, telling reporters that the plastic ribbon was “just an additional barrier” to secure the site. He emphasized that the girl’s disappearance was still considered a missing-child case, though abduction or some other wrongdoing was possible from the start. The case escalated late Friday, when Massey announced that police now suspect “foul play” in Ayla’s disappearance. It has evolved into a criminal investigation, and Maine State Police have taken the lead, he said. Even before Friday, however, the late addition of crime-scene ribbon raised questions about the way police have handled a case that has gained national media attention. 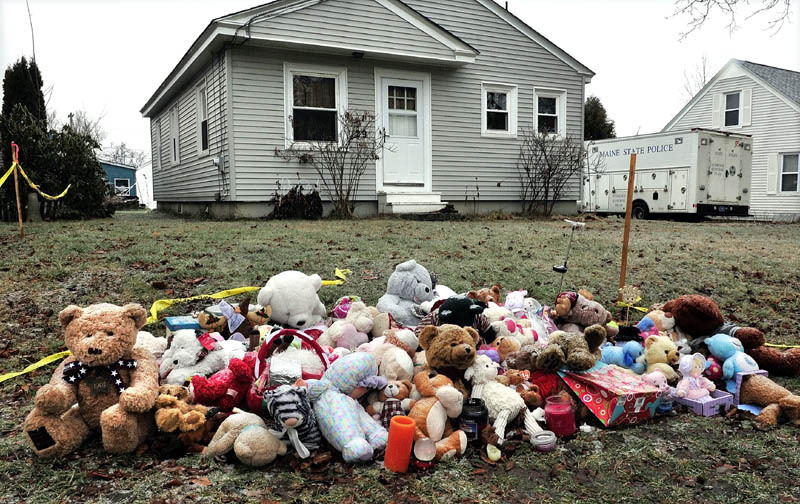 A manual for investigating missing-child cases, used by police across the country, indicates that the house on Violette Avenue should have been “sealed” soon after the first investigators arrived on Dec. 17. “I don’t know why they didn’t put crime-scene tape up before they did, but I have to believe they’re gathering evidence as they should,” said Chuck Drago, of Oviedo, Fla., a retired police chief and former cabinet member and adviser to outgoing Florida Gov. Charlie Crist. Drago and other experts in police procedures say missing-child cases are among the most difficult to investigate, in part because family members must be viewed as both victims and potential suspects. 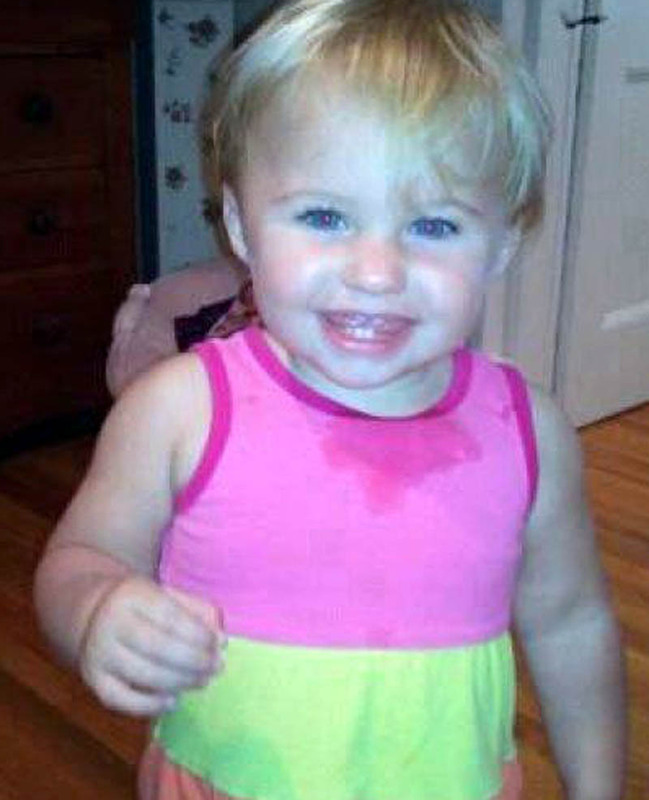 Chief Massey and representatives of other agencies that have been involved in the search for Ayla, including Maine State Police and the Maine Warden Service, declined to discuss the inner workings of the investigation, which now also involves the Massachusetts State Police. Experts in police procedures hesitated to comment directly on the Waterville case, noting that their assessments of the investigation would be limited because they haven’t participated in it. They applauded efforts that have been made to find Ayla, including massive ground searches, flyovers and help from an FBI child-abduction team. “It’s easy to make assumptions about the investigation from the outside, but we don’t know what happened inside that house,” said Joe Loughlin, a retired Portland police detective who served as assistant chief, interim chief and head of criminal investigations. Even representatives of the National Center for Missing & Exploited Children, a federally mandated and supported nonprofit that works closely with law enforcement agencies, refused to discuss their own recommended procedures for missing-child investigations. However, the center’s investigative checklist advises first-responders to “seal/protect scene and area of the child’s home … so evidence is not destroyed during or after the initial search.” It doesn’t specify how that should be done. While the checklist isn’t numbered, the recommendation comes four steps before a recommendation to “extend search to surrounding areas” outside the home. In Ayla’s case, the search expanded on Dec. 17, the day her father reported her missing. The center’s more in-depth investigative manual says “care should be taken to avoid contamination of the area where the child was last seen.” Again, the manual, “Missing and Abducted Children: A Law-Enforcement Guide to Case Investigation and Program Management,” doesn’t specify how that should be done. Massey said early in the investigation that Ayla’s father, Justin DiPietro, and mother, Trista Reynolds, who has been living in South Portland, were cooperating with investigators. It’s unclear whether police asked DiPietro and other family members to leave the house during the investigation, though he wasn’t seen there for days after Ayla’s disappearance. 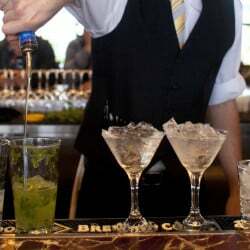 “They may not have evidence that he was involved, but they may have asked him to leave the premises to prevent contamination of the scene,” said Drago, the former Florida police official. From the start, there were signs that the house was being treated as a potential crime scene. On the first day of the investigation, Massey told reporters that Waterville and state police were conducting a detailed search for forensic evidence at the house. Loughlin, the former Portland police official, said investigators may have taken several steps at that time to secure evidence in the house. Dan Vogel, of Edmond, Okla., a retired FBI agent with experience in child abduction cases, had a similar perspective. 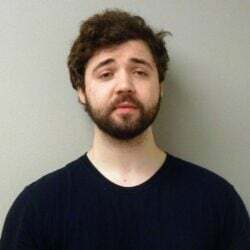 “Putting up crime-scene tape six days later doesn’t really bother me, as long as they’re restricting access to the house from the start,” Vogel said. That would include keeping a record of all people, including investigators, who entered the house after Ayla disappeared, he said. On Day 2 of the investigation, when Morning Sentinel reporter Doug Harlow approached the house seeking interviews, police shooed him off the property. Harlow said a Waterville police cruiser was parked outside the house around the clock until last Thursday. On Day 3, authorities seized DiPietro’s 1996 Ford Explorer and another vehicle parked in his driveway. Drago said that shows police were viewing the father as a potential suspect, as they should have. State police investigators were back at the house on Day 4. One was photographed swabbing an exterior door frame for forensic evidence while wearing gloves and booties. The same day, DiPietro released a written statement saying that he didn’t know what happened to Ayla. The statement was unusual, largely because it was distributed by Waterville police. However, law enforcement experts said one of the biggest challenges police face in missing-child cases is maintaining a productive relationship with family members. Drago said police also try to control the information they provide to the public through the media, which investigators need to help find the child and get the word out about progress in the case. That might have played a role in the decision to put yellow ribbon around DiPietro’s house. Investigators in a missing-child case must consider a huge spectrum of possible motives and potential suspects, said Vogel, the former FBI agent. He urged police to take advantage of technology to bolster their investigation, such as setting up a website dedicated to Ayla. As the investigation continues, Drago said, investigators involved in the case must manage the careful dance between evidence and intuition, victims and potential suspects, sharing information with the public and keeping details to themselves, all in an effort to learn what happened to little Ayla.